One of the things I did especially well last year was to capture memories of our family. It’s so fascinating and fun to see our girls get older and able to do more things before our eyes. I recorded Isabelle’s first steps and vacations we went on and the mundane moments of our life. I already can’t wait to record our video for next year! Here are some ‘lessons learned’ from a year of recording memories with 1SE. I mean, this is a major ‘duh’ because I take so many photos and am very aware at how important lighting is, but the same applies to videos, especially since I didn’t edit or filter the clips before compiling them. Sometimes I liked the dimly lit videos if I was recording a date or happy hour, but other times I hated the yellow lighting from artificial lights. Tell people about the project. Or don’t. This past year I didn’t really tell anyone before I recorded them, and then I took out all of the audio and used songs as the background noise, so that I didn’t need to worry about what people were saying at the time I hit ‘record’. This means I got a lot of candid seconds, but this next year I think I’ll ask people to wave or smile or something so that I can get a variety of shots! Some days you’re going to record a video (I did!) but other days, if you remember, just take a ‘filler shot’ – like you drinking coffee, the leaves changing, rain falling (in the PNW you get plenty of chances for that one!) etc, so that on days you can forget you can still choose a video and fill up your year with memories. Keep up with it all year. Make sure you’re in the video, too! I failed at this one. I’m pretty sure the girls are in almost every single clip, Tim is in a lot of them, and our friends make tons of appearances, as well. However, I think I’m only in there about 5 of the 365 clips. This year, I’m going to make sure that doesn’t happen again! My plan is to use a tripod for more ‘planned’ shots (like me reading to the girls), or insist that Tim record some videos, too. The video from 2017 is definitely from my perspective, which is interesting, but when other people watch it (including the girls!) it makes it look like I wasn’t there at all. Just do it – and have fun! It’s the start of the year so start up the app and record some memories! 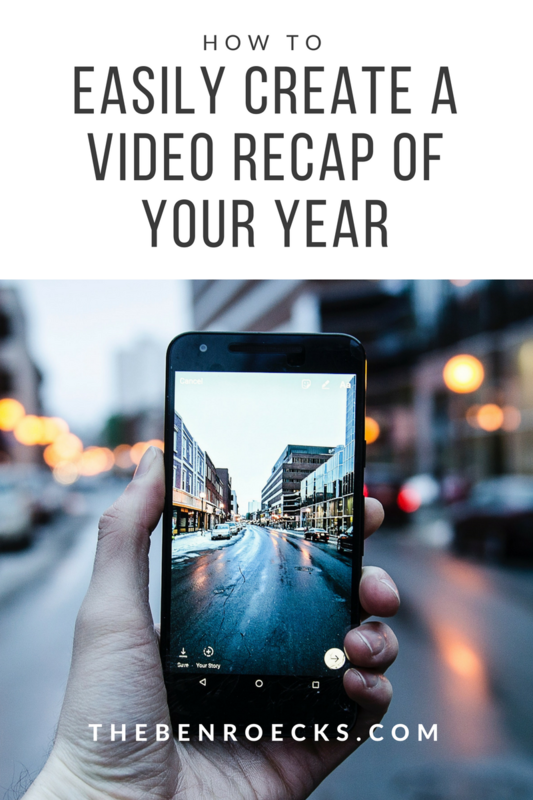 You could also make a video of 365 pictures of the year (instead of videos) if that’s more your style. Or you could do a mix of both. Just start it and hopefully you’ll be able to keep up with it daily so you have a great year recap in January of next year! You can also start this at any time – like you could start at your birthday or your kid’s birthday and record a year that way. Or you could just do six months… it’s a very flexible app in terms of timing and what video you want to compile. I feel like I should mention that I’m (of course) not getting paid to share my opinion on this app, but I loved it so much (well, mainly I love the finished product!) that I just have to recommend it to everyone. I’m not going to share our video here, but I’m sure you can find other people’s videos on Vimeo or Youtube if you search for ‘1 Second Everyday’ or search through tags on social media. Let me know if you’re going to try this for 2018! This entry was posted in favorite things and tagged app, favorite things. Bookmark the permalink. Someone told me about this last year and I thought “oh I’m going to do that next year” and of course I forgot so THANK YOU for reminding me!! Off to download the add right now! Yessss! I think you’ll love it! Oh, I love this SO MUCH!! What a great idea! I hope you do it – it’s so fun! I have done this the last few years and LOVE the result! Fun tip – LivePhotos from iPhones can be used too, since they are mini-videos! That’s the only reason I have any video clips honestly. You can also go back and fill in days you missed… I often will end up doing a week at a time. Ohhhh great tip! You’re so right! I always keep the LivePhoto feature turned off, but I bet a bunch of other people can use this! This is so cool! Too bad I’m so far behind on my blog reading that I missed most of January, haha. You don’t need to start in January, though! Your year can start and end on any date!